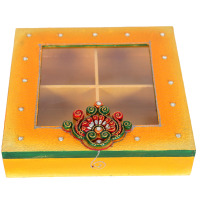 Now see the Kundan Dry Fruit Box appearing at the center. Imagine a drawing room with lovely fall ceiling, picturesque wall paintings, traditional showpieces, and finely-carved center table with beautiful flower vase on it. 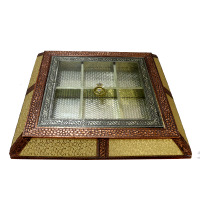 Now see Read More..the Kundan Dry Fruit Box appearing at the center. The two-columned box done with a mix of traditional colors does justice to all your design requirements. 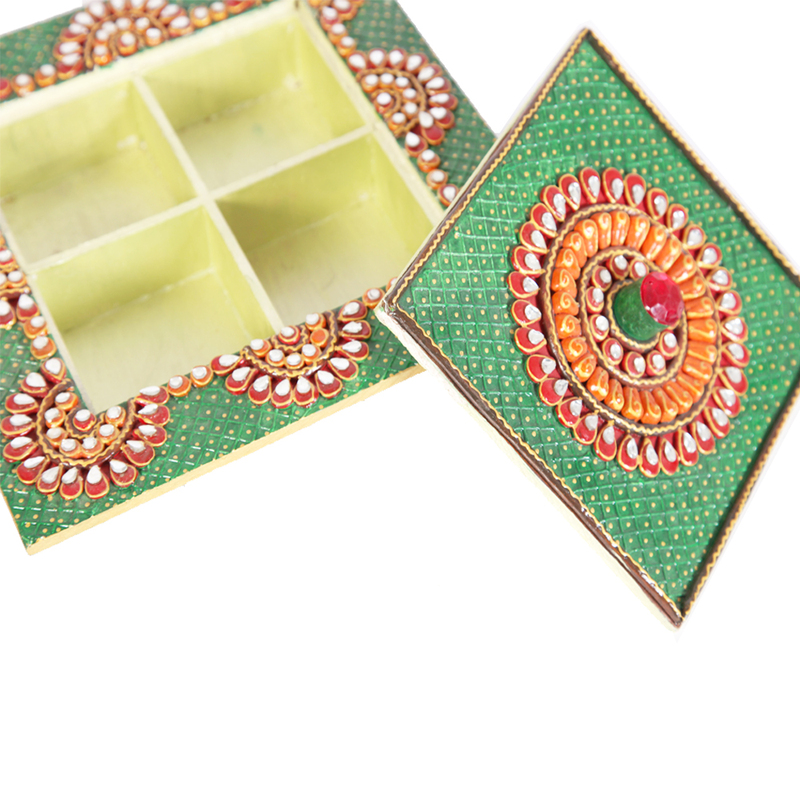 With this dazzling Kundan Dry Fruit Box, just add more beauty to your guest space. Show Less.. 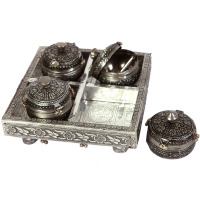 Box to keep dry fruit and other eatables in style. 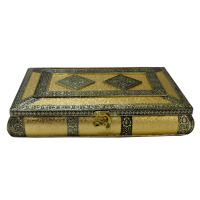 Appearance wise it is one of the most beautiful box in its genre. The simplicity of this box comes from the sparsely placed elements. 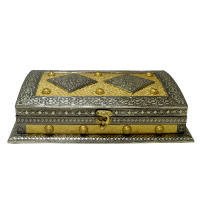 This trapezoidal shaped wooden dry fruit box will captivate everyone by its look and finishing. 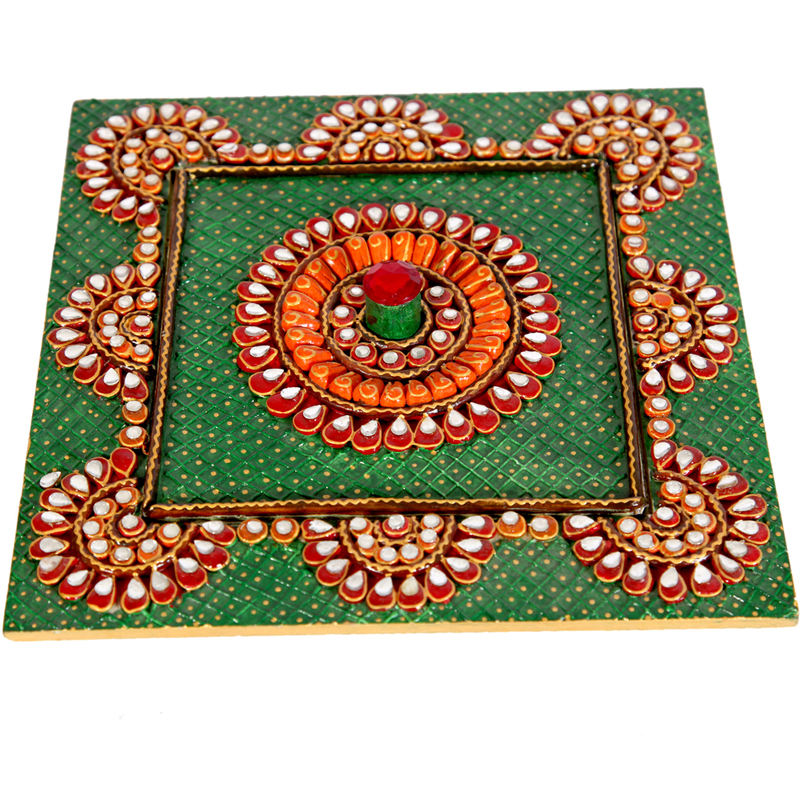 Simple yet outrageously gorgeous, this box might be the desire for anyone who are fond of house decoration.